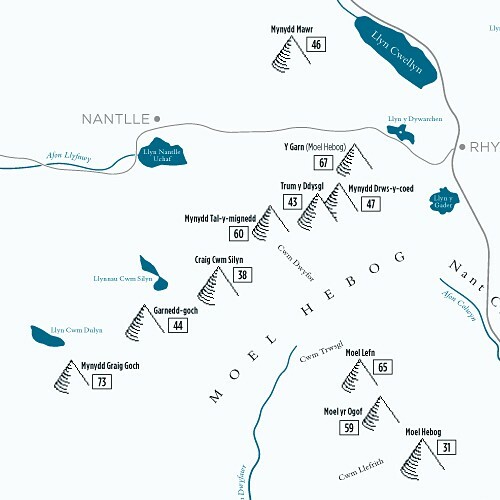 From Yr Wyddfa/Snowdon to Tal y Fan the Snowdonia Mountain Chart shows the locations of all 74 key mountains in Snowdonia, north Wales. 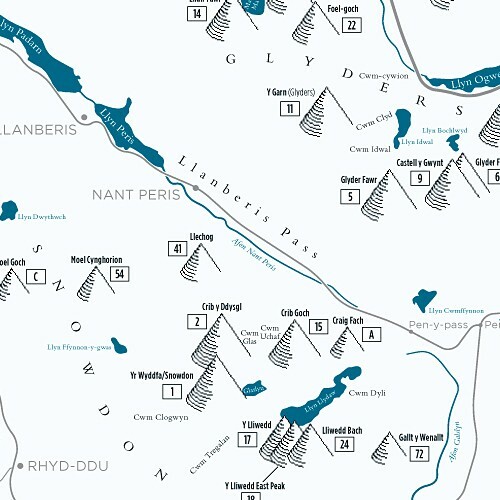 A beautifully illustrated map of Snowdonia, north Wales. 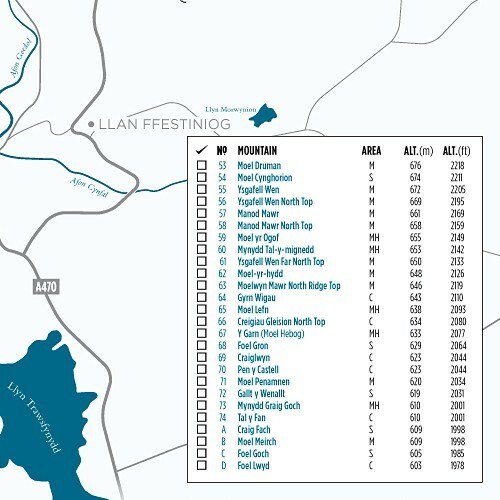 Each hill is drawn to scale and is clearly named and numbered in altitude order. 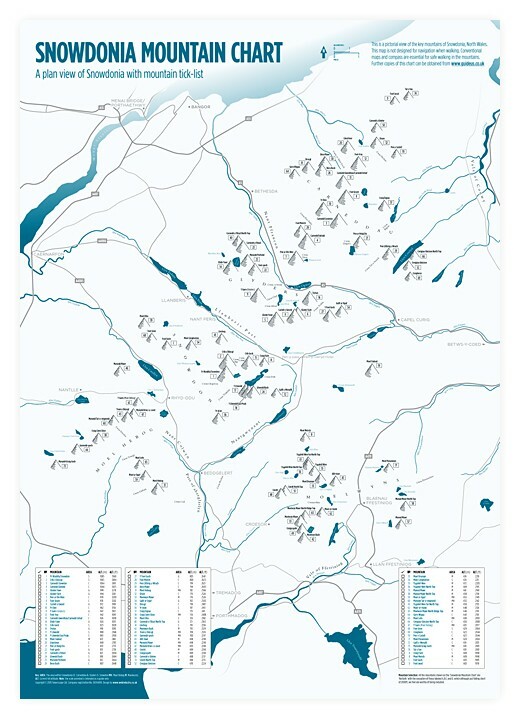 The chart is both a functional and informative piece of artwork for the home and the perfect poster for any Lakeland walker. 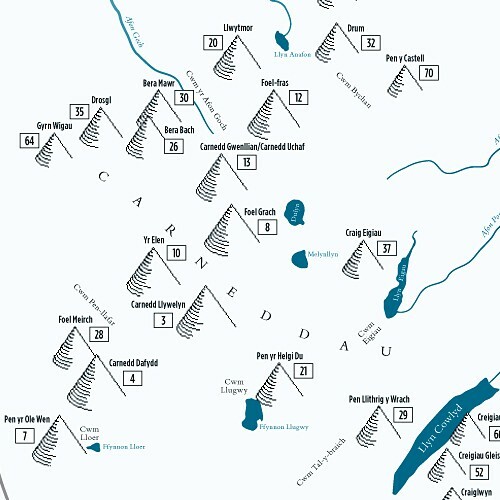 All the mountains shown on the ‘Snowdonia Mountain Chart’ are ‘Nuttalls’ with the exception of those labeled A,B,C and D, which although just falling short of 2000ft, we feel are worthy of being included.